Dan Trahey is a musician, composer, educator, social entrepreneur and architect for dozens of social change through music programs in the United States, South America, and Europe. He was instrumental in the creation of the Baltimore Symphony Orchestra’s “OrchKids” program where he currently serves as Artistic Director. Dan also founded the El Sistema inspired program “Tuned In” at the Peabody Conservatory where he teaches creative composition and community engagement. 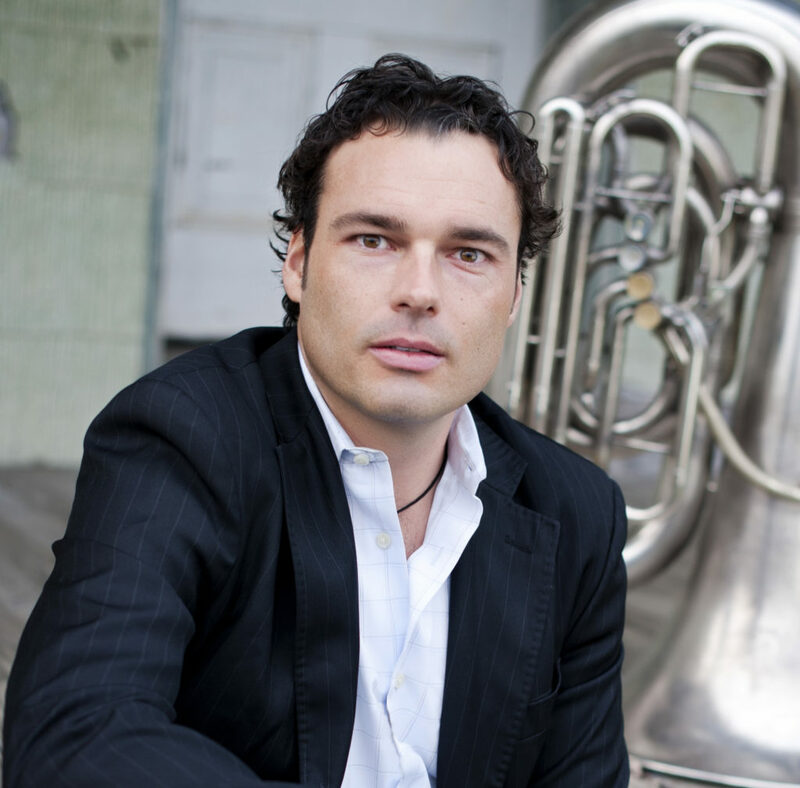 As a tuba player with The Archipelago Project, he concertizes and promotes cross genre performances and has performed for hundreds of thousands of children specifically targeting impoverished areas with little access to live performance. Dan has held orchestral positions in Mexico, the United States, and Germany. Dan received a Masters of Music from Yale, and a Bachelors of Music Education from Johns Hopkins University. Originally from Detroit, MI, Dan has just launched a new program in Pontiac, called Accent Pontiac. He is a frequent collaborator with the Los Angeles Philharmonic, Carnegie Hall, Chicago Symphony Orchestra, Orchestra of St. Lukes, The Grand Rapids Symphony, Opera North, Philadelphia Orchestra, MusAid, Yale University, SouthBanke Center, Liverpool Philharmonic, National Youth Orchestra of Belize, The Calgary Philharmonic and countless other organizations. Dan’s work has been widely recognized and featured in publications such as 60 Minutes, PBS, NPR, The New York Times, The Washington Post, and in 2014 was named the Most Valuable Player in the Arts by Baltimore Magazine. Dan’s past teaching experience includes low brass instructor at The Baltimore School for the Arts and Idyllwild Arts. He was an original teacher and collaborator for the Abreu Fellows program at The New England Conservatory. He currently holds teaching residencies with the Innsbruck Musikschule, Tyrole, Austria; Nucleo, Acarigua, in Portuguesa, Venezuela, and in the Traverse City, Michigan Public Schools. Dan also teaches Music Entrepreneurship at the University of Maryland, Baltimore County and Creative Leadership and Composition at The Peabody Conservatory. Dan is a sought after consultant for programs desiring to use music as a vehicle for social change. In addition to founding two El Sistema programs in Baltimore, Dan has helped structure, nurture, and grow many programs in cities such as:Charlotte, Chicago, Fort Worth, Orange County, Allentown, Waterbury, Portland, OR, Alexandria, and Kalamazoo. Dan has worked with the Chicago Symphony Orchestra, Orchestra of St. Lukes, The Grand Rapids Symphony, Los Angeles Philharmonic, Opera North, Philadelphia Orchestra, MusAid, Yale University, SouthBanke Center, Liverpool Philharmonic, National Youth Orchestra of Belize, The Calgary Philharmonic and countless other organizations. Dan’s upcoming residencies include teaching at the National Take a Stand Youth Orchestra in Aspen and Bard College, performances with the Grand Rapids Symphony and a July tour with the Austrian based brass band RET Brass.